"Thank you for the outstanding service. My goods have arrived 16 hrs after ordering. 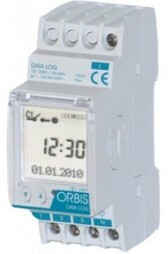 The Orbis Data Micro Timer is a 240V AC, single relay output, 7 day digital time switch. The Legrand Rex 2000 is a 240V AC, single relay output, 7 day digital time switch.